Dec. 4th. Jerry Duggan, late Hair-dresser in Quebec, is stiled Major amongst them, and it is said commands 500 Canadians. 5th. Duggan (Jeremiah) disarmed the inhabitants of the suburbs of St. Roc without opposition. Some cannon shot fired from the Garrison. Pretty badass for a hairdresser, no? I love the eighteenth century! Duggan was a leader of the “rebels,” that is, of the American insurgents trying to rally Canadians to rise up against their British masters in Québec during Benedict Arnold’s ultimately unsuccessful siege of the city in 1775-76. (I had no idea that they ever rallied any Canadians to their side, as Daly reports here. 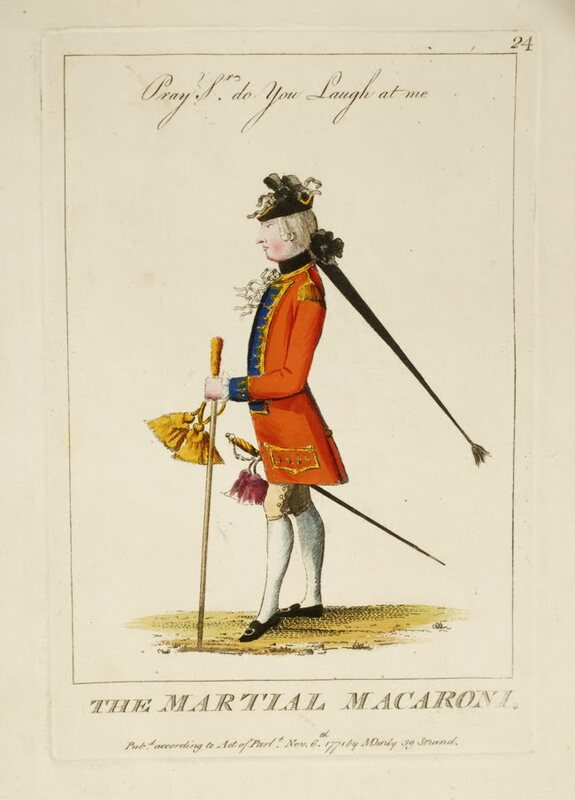 For more on “The Martial Macaroni,” and other mid-eighteenth-century satires, see this informative blog post on Mary Darly’s The Book of Caricaturas, 1762, and her career as a London artist, engraver, and printer who satirized the Macaroni style). Meanwhile, I’m so close to being done with this book, but it’s been exhausting. Whereas my first book pretty much wrote itself, in that all I had to do was line up the primary sources and let them tell the story I wanted to tell, writing this book has been like turning, turning, and turning a Rubik’s Cube (in French and English), trying to get all of the colors to line up correctly. At this point, I just want to read some primary sources, look at some pretty pictures, and let them tell me what the story is. Fortunately, my ticket to Scholar’s Disneyland is good for another six months or so! Giddyap. Very badass for a hairdresser! And it turns out that Duggan’s taking of St. Roch (not St. Roc) and luring of 500 Canadians into the rebellion was as good as it got for Benedict Arnold & his men that winter in Quebec. St. Roch became a kind of staging ground from which Arnold tried to launch other attacks, but of course failed pretty completely. His men languished outside the city walls in their tents and died in shocking numbers of smallpox. 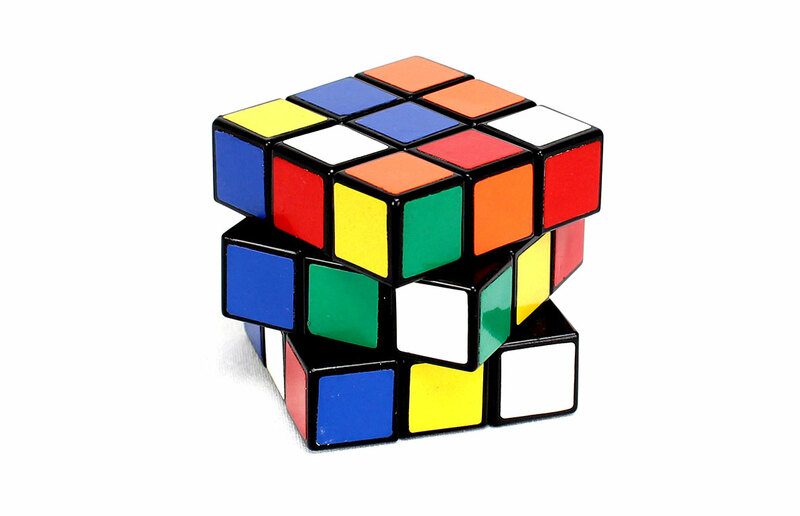 I love the Rubiks’ Cube analogy. It’s perfect for some of these projects. And also perfect in that there comes a point when you just want to throw the damn thing out across the room. I’ve really loved this book, but I’m coming to feel like I’ve been living in this precious dollhouse a little too long. Or, maybe not a dollhouse, but a mausoleum of some kind, with me playing Miss Havisham? I’ve really enjoyed living here, but it’s probably time to move along. Nothing like a new project; like you always say, Historiann, back to the archives! I have a (secondary) source that might throw some light on the “Jerry Duggan” story–is there a name out there that sounds less 18th century colonial?– or maybe not, only it’s not with me at the moment. A hairdresser turned insurgent Major sounds like something out of Cyrano, or maybe Martin Guerre, or something like that. I’ll take a look at the book as soon as I get back to my other stronghold, tomorrow night. Well, his proper name was Jeremiah, which seems to me seriously 18th C Anglo-American, particularly New England! You can have no conception what kind of men composed their officers. Of those we took [prisoner], one Major was a blacksmith, another a hatter; of their captains, there was a butcher, a—-*, a tanner, a shoemaker, a tavernkeeper, &c. &c. Yet they all pretended to be gentlemen. (From “The Invasion of Canada in 1775,” in Manuscripts Relating to the Early History of Canada (Quebec: Middleton & Dawson, 1868; reprint, T.J. Moore & Co., 1927), 16.